Transcript: NBA Draft Media Call with Jay Bilas - ESPN Press Room U.S. Earlier today, ESPN’s College Basketball and NBA Draft analyst Jay Bilas answered media questions to preview the 2016 NBA Draft. Bilas will be part of ESPN’s exclusive coverage of the 2016 NBA Draft on Thursday, June 23 at 7 p.m. ET. Q. What are your thoughts on Louisville’s players? Chinanu Onuaku is probably the only one to be drafted, but what are your thoughts on him and Damian Lee? JAY BILAS: Well, I think Onuaku has got a chance to do well in the draft. I think he’s a second-round pick but high up in the second round, and he’s got good size and he runs the floor pretty well, but he can rebound and block shots. Most of his game is around the rim, including 95 percent of his shots. As you know, he doesn’t shoot free throws particularly well, but he did a good job in pick-and-roll situations, and he showed himself to be a really good defender and defended pick-and-rolls well, but his ability to protect the rim was key because his arms are so long. He’s a 7’3″ wing span, but he’s got quick feet and he’s a good finisher when he gets the ball near the rim, and he actually showed the ability to hit an open jumper. He didn’t take a whole lot of jump shots on the season. He took 23 or 24 of them, but he hit close to 40 percent of them, which for his size is not bad. But his free throws are a concern. Q. Not a lot of New York angles in this year’s draft, but two guys I wanted to ask you about, Isaiah Whitehead and A.J. English—what’s their chances of being drafted and what you see as their strengths. BILAS: Well, I think Isaiah Whitehead will definitely be drafted. I’ve got him as a second-round pick. He’s in the 40s for me, low 40s, but obviously he could be taken higher or a little bit lower depending on who likes him. He’s big and strong. He’s got a 6’8″ wing span even though he’s only about 6’4″. A very good passing instinct even though he turns it over a little bit too much, probably goes for the home run instead of the easy play. But his physical tools are really good. I think he can be an NBA defender. He gets a lot of steals, and he’s also a very good shot blocker for a guard. He gets his hand on the basketball a lot. But his handle and passing are very good. He’s got a very good pull-up game and has shown the ability to get hot at times. He’s a little bit streaky, but I think he’s got a chance. He’d been injured early in his freshman year, and boy, the team really missed him when he was gone. But he’s got to be a better finisher around the rim, but he’s very capable. Yeah, I saw A.J. a fair amount at Iona. He’s got very long arms. He’s a good scorer, can shoot from range, and he played in — as you know, Tim Cluess has an up-tempo system, but he’s been really effective. He’s got to be 23, 24 years old now, but he shot in the high 30s from three-point range for his career, does very well out of pick-and-roll situations, and he can — MVP at Portsmouth this year, so he did a really good job with his length and scoring ability, and especially in transition. The majority of his offense are jump shots. He’s better at catch and shoot than he is pulling up. He does turn the ball over a little bit, but when you play at that pace, you’re going to cough it up once in a while. But I think A.J. is a good player that I think will be a second-round pick. Q. Who do you think would be a good fit for the Pistons in the 18th pick? BILAS: I don’t know exactly what they’re going to do, but there are a bunch of players that are going to be available at that slot that can really help them. I think probably the best perimeter player, perimeter shooter talent-wise available to them will be Malik Beasley of Florida State. He’s coming off an injury. He had a rod placed in his leg. But it kind of depends on what they want. If Skal Labissiere of Kentucky is still there, and I don’t think he will be, but that’s a good place to take a risk on a player that hasn’t lived up to it to this point. There are a number of good foreign players that will be available at that slot, and I think a lot of the draft analysts have put some of those guys in that spot. But it really depends on what Detroit wants more than anything. I can tell you who the best available players are, but I think you’d have to ask them exactly what they’re looking for. Q. The Warriors have talked about maybe wanting to get bigger in this draft. Wondering what your thoughts are on the big guys who might still be available at 30 when the Warriors select. BILAS: Well, at 30, there are — if you’re talking kind of interior big guys, at 30 you’re probably looking at guys like Damian Jones of Vanderbilt, A.J. Hammons of Purdue. There’s a kid out of Weber State named Joel Bolomboy who’s a lengthy, bouncy athlete who can really rebound. Diamond Stone of Maryland is a terrific player. I’ve got him rated a little bit lower than 30, but offensively he can really play and is young. It’s just a question of will he rebound and get in better condition and play with a little more — little better of a motor. And then I guess Stephen Zimmerman of UNLV is a young player, left-handed, has got some ability, but I rank him a little bit lower than 30. There’s one guy that I expect to be gone by then, but I wouldn’t hesitate on if he’s still there because it’s within that range, and I think he’s kind of a steal there, and that’s Brice Johnson of North Carolina. He’s a senior and led his team to the national championship game but had 23 double-doubles. I think he’s the best rebounder in the draft. Really great athlete. Can really run. He’s got a great shooting touch. So I think with the way that Golden State plays and his ability, his mobility and his ability to move his feet and his explosiveness and shot-making ability, I like him a lot. Q. Obviously we’ve seen all the reports about Ben Simmons and the Sixers. If you were a general manager, is there anything that would give you pause about going with him as the No. 1 overall pick? And Damian, do you see him rated as a late first-round guy, and if so, why, if not, why? BILAS: I wouldn’t hesitate to draft Ben Simmons No. 1. He’s incredibly productive. They just don’t make guys like that very often that have that kind of size and skill level. He can go off the bounce with either hand. He passes with either hand. He’s a volume rebounder, and he can take a defensive rebound and go, and he’s unselfish. I think he can defend. I’ve seen him do it. When he wants to lock down and not let guys get past him, he does. He’s not a great shooter, and that’s one thing that is a bit of a concern, but he does make his free throws, and I think he can improve upon that. I’m not suggesting that somehow he’s going to be Steph Curry, but what I’m saying is he can be a competent shooter where you’re going to have to go out and guard him, and if you have to go out and guard him, he can get by you. For a guy that really didn’t shoot any jump shots, he only took three three-point shots and very few jump shots throughout the course of the year, he averaged just under 20 points per game and shot 55 percent. He got to the basket at will. And as a lefty, he went left 71 percent of the time and still nobody could stop him. He had one of those seasons that you just don’t see very often. We haven’t seen anybody put up those kind of numbers in decades. I was incredibly impressed. While he’s got — he’s not perfect. He doesn’t shoot it the way you would hope he would, in every other area he’s the best in the draft. And you said Damian Jones from Vanderbilt, right? Yeah, late first round, early second because of his size and athleticism. He’s 6’11”, seven feet, and he’s got a wing span close to 7’4″. He can really run, and he’s got a lot of ability. A little bit inconsistent with how hard he plays and how productive he is, and he got it handed to him a few times. A.J. Hammons outplayed him. But he’s a terrific kid, and I’ve heard people ask the question, he’s such a good kid, is he kind of mean enough to play in the NBA, and it’s just a question of being — I don’t term him mean, I just think how productive is he going to be and how aggressive going after it is he, because he can really be an excellent low-post defender and rim protector, and he is very good in pick-and-roll situations, and he’s got a very good shooting touch, out to about 18 feet, and does a pretty good job around the rim. He just needs to do it at a higher level and sustain it for longer periods, but he’s got a lot of ability. Q. Obviously a couple of the Michigan State guys early in the process were considered potential lottery guys. Can you talk about maybe with Deyonta Davis what’s kind of the buzz around him at the moment, and how much is Denzel Valentine’s knee affecting him right now? BILAS: Well, first on Deyonta, he fits the suit. He’s big and athletic and long-armed. He runs well. He’s just raw. If you stretch out his per-game averages to 40 minutes, per 40 minutes he averaged over 16 a game, just about 12 rebounds and four blocks a game. He is not an offensive player yet, so he needs more development in that area. But as a rebounder, as a shot blocker, as a guy that can run the floor, and then especially an offensive rebounder, he’s got a lot of value. The question is he’s got a distance to travel in his development. And this is just me talking now. I mean, I think in order to be a great player, you have — the same steps are needed now that were needed 10, 20, 30, 40 years ago. It’s just where are you going to take those steps, are you going to take them in college or are you going to take them while you’re getting a paycheck in the pros. The question is how hard is he going to work. And if he works at it, he’s got the ability to be really, really good because he’s young and he’s got a lot of talent. As far as Denzel is concerned, I’ve heard the issues with his knee and knees. I do not — I would not be overly concerned with it were it me, but each one of these NBA teams has a medical staff that will pass on that, and if they don’t red flag it, I think you’re getting a proven winner that’s gotten better every single year he’s been in the game. His shot has improved. He’s gone from a non-shooter when he got to Michigan State to being a guy who’s a really good shooter with a quick release and NBA range. He knows how to play, and he’s a good leader. He knows how to win. I think his only problem in the NBA is going to be on the defensive end. He’s not a spectacular athlete, and so staying in front of some of these big-time athletes at his position is going to be a challenge. But I don’t doubt that he’ll figure it out. Q. With those other two guys that went to Portsmouth with Costello and Forbes, how much did that help them get into the conversation at the back end of the draft? BILAS: I don’t see either Matt or Bryn getting drafted, but that may be better for them, because as undrafted free agents, they can pick where they go and pick a team that may have a need for them. You get drafted, sometimes you get caught in a numbers game. And it sounds great to get drafted, but sometimes in that situation you’re better off picking the best situation for yourself. Bryn is an excellent shooter. He’s slight of build, he’s not big and strong for the 2 guard spot, so it’s going to be a challenge for him physically and a bit of a challenge on the defensive end. Matt is bigger and stronger and a good big guy that can run and set screens and rebound, but he’s going to have to find the right situation. Q. With Skal Labissiere, I’m wondering what other player or players come to mind who were not overly productive as college players and yet are projected as lottery picks perhaps. And also, when you hear players assessed and you hear all of that, a lot of times you don’t hear a lot mentioned about their play in college, and I’m wondering how important is college competition in terms of evaluating an NBA prospect? BILAS: Good questions. As far as Skal is concerned, I can’t think of an analog to him in a past draft where a guy came in and he was expected to be top two or three picks and the bottom fell out under him after his freshman year, and then he came out anyway. I think he’s the most difficult prospect to figure out in this whole draft for me because he’s got some really solid selling points. He’s got an excellent shooting touch. His timing is good. He can block shots. But he didn’t do it in games, and he got pushed around by guys that got pushed around by other people. That was a little bit surprising to me, frankly. But he does — he’s a gamble. He didn’t show the ability to handle physicality, and, frankly, yet you questioned his toughness after the season. He showed flashes, but he’s got some potential. I think that he’s going one on none in all these workouts, and you can see the talent, but he’s going to have to play in a crowd, and he hasn’t shown really that he can do that yet. That’s where the gamble comes in. But in the middle of the first round, I think he’s worth taking a risk on. As far as college is concerned, it’s kind of a balance, the way I see it, anyway, in my view, it’s a balance between what a player does in college. Those are part of the data points that you consider, but the other parts are what’s the physical makeup of the player because if you look over the course of history with this draft, if you have to fall within a certain range physically of what you can do, and this is the most athletic professional league in the world, in my judgment, there are very few players that don’t fit the athletic profile, both size for position, length, athleticism that wind up overcoming that. Usually it’s the other way around. Usually it’s the unskilled, superior athlete that winds up overcoming a lack of skill rather than a lesser athlete overcoming a lack of athleticism with superior skill. Q. I was wondering your opinion on Taurean Prince at Baylor, what would he bring to a team, and about where you see him going? BILAS: I’ve got Taurean Prince at the end of the first round. He’s 6’9″, 6’8″ or so, very athletic, and he’s got the wing span of a kid 6’11”. He was productive in college. He can shoot it from the perimeter and has really good range. He can put it on the deck a little bit, and he’s got a little floater he can get to the rim. He didn’t do particularly well in pick-and-roll situations, but he’s one of those guys that athletically, length-wise can space the floor and be a solid piece on a good NBA team. He’s been a good rebounder throughout his career, not a great one but productive, and he’s continued to improve. But his ability to make threes, I think he shot in the high 30s last year, and most of them were spot-ups. I think he’s got ability, and at the end of the first round, he’ll be getting with a team where he can step in and be a contributor. Q. What are your thoughts on Boston at 3, because it seems like they have a lot of choices? And the second question is it seems like regardless of how technologically advanced this draft stuff gets, it’s still pretty much a crapshoot. Just looking at the past drafts, even as much as you can study and look at these guys, how frustrating is that, or is that just the way it’s always going to be? BILAS: Boy, really good ones. On the first question, Boston has got a lot of different options if they decide to keep that pick. I rate Kris Dunn of Providence the best prospect outside of Simmons and Ingram, in that order, but also you can make a good case for Jamal Murray of Kentucky as one of the two best shooters in the draft, or the freakiest of freaky athletes in the draft, Marquese Chriss of Washington who’s 6’9″, 6’10”, and I don’t think he’s even within two years of shaving, and he’s a ridiculous athlete with a tremendous amount of ability. But I put Dunn highest on the list there because I think he’s an elite defender that can guard any perimeter player you throw at him, and he’s a terrific transition point guard that can finish plays. He’s just older. He’s 22, 23 years old. As far as the draft is concerned, I’m not frustrated by it, I’m impressed by it, how hard it is to figure out. I don’t think the NBA Draft differs in one measure from the NFL Draft or Major League Baseball. If you look at all those drafts, you see tremendous value found later at times, and you see picks at the top of the draft where mistakes are made. Football has got Ryan Leaf and basketball has got Greg Oden, and we’ve got all kinds of — baseball has got a thousand picks like that. I think the difference is in basketball, things have changed a little bit because we’re no longer looking at four years of data in college, so you’re going off of limited information. I’d be really interested what the NFL Draft would look like if they could draft freshmen and whether they would have taken Peyton Manning 1 or how they would have processed all that, because football gets four, sometimes five years to look at a prospect before the draft, basketball you’re getting one or two. It’s a totally different dynamic. One of the things I’ve gained a great appreciation for over the years is how hard it is for these NBA teams to make these decisions, and they’re stuck with them. For all of us to put out our opinions, we put opinions out on every first-round pick, say, so we’re on record on what we think of all these players and how we rank them, but we don’t have to live with them, and they do. They draft them, and that follows them around for the rest of their careers as executives. I have a lot of respect for the way they do the job. Really I don’t think with all the analytics and sort of the intelligence gathered that anybody is trying to suggest they have it figured out. I think what they’re trying to do is just get the most information so they can make the best informed decision that they can and try to avoid some of these mistakes that you’ve pointed out, and rightfully so. Q. I’m wondering what you think of Jarrod Uthoff in terms of where you see him going and what he could bring to an NBA team, and does it hurt him being 23 years old? BILAS: I’ve got Jarrod in the second round. Does it hurt him being 22 or 23 years old? No. But if he were younger, he might be projected to be more. That’s kind of the way it works. I think everybody kind of thinks they know who Jarrod is right now, and I’m among those. You’ve watched him for a period of time, and you’ve got a feel for who he is. That doesn’t mean that he’s not going to continue to get better. In the old days nobody ever said — when everybody was 22 or 23, nobody ever said this guy is not going to get any better. That’s absurd. It’s just these other guys have larger development curves because they’re further behind on them. That goes for even Brandon Ingram. Ben Simmons is a full year older than Brandon Ingram, so you kind of have to factor that in. The reason you do that is because if you had seen Buddy Hield as a freshman, he wouldn’t have impressed you very much, but look at him now, three, four years later. You kind of look at that with other players, what’s their growth going to be like, what are they going to look like when they’re 23 or 24 years old, because you’re not going to — these days you don’t get to wait anymore. As far as Jarrod is concerned, he’s versatile, and he’s got a 6’11” wing span and he can shoot it. He’s got mid-range ability, he can handle and pass the ball, and he’s actually proven to be a really good shot blocker with blocking perimeter shots. I think he was the only BCS player that had 600 points, 200 rebounds and over 80 blocked shots this year. You wonder, though, is that going to translate on the defensive end once he gets into the NBA. But he’s got ability and he can step in there with his versatility and knock down shots, space the floor, and I think he can hang on the defensive end. It’s just a question of — to me it’s not what difference does he make whether he goes 50th or 48th or 59th, as long as he gets with the right team, I think he can be a help to somebody. Q. LSU had a terrible year last year, didn’t make the tournament. Johnny Jones caught a lot of criticism for the year. In the whole equation of assessing Ben Simmons, did last year really matter at all to him? Good or bad, did it matter? BILAS: Well, I mean, did it matter in where he’s going to get drafted? No. I think it mattered to him personally. I don’t know exactly how he processed it because I don’t know him particularly well. I’ve been around him a little bit. But I would never say that I know him. But he didn’t really have a choice. He’s got to go somewhere. I kind of wonder, though, like what would we say if — so the decision, and it sounds like Philadelphia has already made it, but the decision was between Brandon Ingram and Simmons, so what if we had just swapped those guys and Simmons had gone to Duke and Brandon Ingram had gone to LSU. Do you think Ingram would have done things differently and turned that team into a winner, or was it more likely that Simmons would have been viewed as a big-time winner going to Duke and fitting in with a different group in a different environment? I don’t know the answer to that, but all I know is when Simmons was in high school, he was 63-1, and he’s a good player. They don’t make them like him very often. I think he’s — he doesn’t shoot it well, but I think he can improve there. I don’t ever think he’s going to be Klay Thompson or anything, but he can improve there. But I like — I just don’t know the right answer as far as where should a guy who you know is going to be out after a year, where should he go, what’s the best for his brand, his talent, his future, because we are in the business of picking people apart. There’s nothing wrong with that. There’s nothing wrong with what we’re doing here. But you start wondering about, well, is he a winner or is he entitled. I’ve heard that a lot. The camera crew following him around all year long. LSU put billboards up of him before he ever got there: He’s coming. He was the chosen one at LSU before he ever got on campus and was sold and billed as such, and that’s a lot. That’s a lot on a player. Q. I wanted to ask you about Marcus Paige. His intangibles are off the charts. He’s come through with some big moments over his career. Where does his skill set take him at the next level? Can he get drafted? Is he more of a projected D-Leaguer, and what kind of upside do you see with Marcus Paige? BILAS: I’ve watched Marcus all throughout his career. I haven’t covered a better kid. Just an amazing young man and has had a great college career. I absolutely believe that he can play in the NBA. I do not think he’s going to be drafted. He really struggled to shoot the ball, especially for him, this last year. The question is whether he can play the point guard in the NBA because that’s what he’s going to have to do. He’s too small and too slight a build to be a 2 guard in that league. If he can play the point, I think he can find a place, and I don’t think getting drafted probably limits his chances. I think he’s got to be able to find a place, find a team that would value him. But his production went down this last year, but he’s good out of pick-and-rolls, he can pass it. But he’s not a big — he’s not big and strong. Over the course of his four years, he didn’t really put on a lot of muscle, and he’s going to need some muscle when he gets to the league. Q. If Dragan Bender hadn’t been on a European pro team of men and was a freshman at a major college program, what do you think he would have done, and how do you value him in the draft next to Marquese Chriss? BILAS: That’s a good question. I think it just depends. I haven’t seen Bender in person. That’s the problem that I have with that, so Fran Fraschilla has, and he’d be a better person to ask that question, so I would defer to Fran on that one. I think any time you haven’t seen somebody in person, at least I’ve always felt like I’m operating at a little bit of a deficit. But Chriss I have seen a fair amount, and I think he’s got crazy potential. He hasn’t been playing for very long, and his athleticism — he’s a better athlete than Bender. Bender can shoot it. He’s got size. He can step away. He’s being compared to Porzingis primarily because they’re both foreign, but in today’s game he fits the game where he can step away and stretch the floor. Chriss is a ridiculous athlete, just ridiculous. All his — the run, jump, explosiveness, his crazy length, all that stuff is just sort of — we keep saying — it almost sounds clichÃ© to say off the charts, but it truly is off the charts. I would probably put Marquese Chriss a little bit ahead, and if Bender had gone to college, we’d know more about him. It’s kind of like if Skal Labissiere had played overseas, there would be a little bit of mystery surrounding him because he wouldn’t have seen him as much. After you’ve seen somebody for an extended period, you get a pretty good feel for them. It doesn’t mean you’re going to be right, because as we pointed out earlier, talk about an inexact science, this is as inexact as it gets, but I would put probably the idea of — Bender is younger, hasn’t had as much of a chance to get in there. That doesn’t mean he’s not going to get it done because guys have accomplished great things before without showing it on some of these high-level European professional teams, and the same goes for guys that haven’t done it in college yet. You’ve had guys that have had non-productive first years that have come into the NBA and done very, very well. Q. One follow-up on Chriss. He gets tagged with an immaturity level or emotional. Have you seen that displayed in him? BILAS: I’ve seen it in him, yeah. He is immature, but he’s immature because he’s 18. That’s not really a knock, it’s just an acknowledgment that he’s young and he’s going to continue to grow as a person and as a competitor. The one thing — like here’s an example. He’s got the ability to block shots because he’s got a seven-foot ping wing span, he’s 6’10”, and he’s got a vertical leap — how many 6’10” guys have a 39-, 40-inch vertical? I can’t think of any. Maybe there are and I’m just forgetting it. So he can block shots. But he also had like 140 fouls. That’s over four a game, and that’s one of the highest foul percentages in the last 25 years. He’s going to have to — it’s kind of like — I’m a little too young to be throwing this one around, but it’s kind of like the old story about Sandy Koufax when he was first with Brooklyn after coming out of University of Cincinnati, he would throw and he’d be hitting the backstop. But after he got his control down, he kind of took off, and that may be a similar analogy for Marquese Chriss. Q. Knowing what you know about Anthony Davis and what he can do, if you’re New Orleans at 6, are there any players who you think their particular skill set, whether it’s a shooter who would command attention or another big guy who would play well with him, is there a guy or two in that range who you think fit particularly well with Davis? BILAS: Well, I think the Pelicans need a number of different things. It’s not just one thing. But I know they need guards and they need a little bit more help on the defensive end. Picking at 6, Buddy Hield is a good guard that can really shoot it. Jamal Murray could still be there, who can really shoot it. So those two guys. It’s possible that Kris Dunn could fall there, depending on where Bender goes. If Marquese Chriss and Dragan Bender go 3-4, then maybe Murray goes 5, all of a sudden Kris Dunn is your pick, and then you’ve got somebody falling to you that I think is the third best prospect in the draft. Dunn has had some shoulder issues. He’s had a couple of shoulder surgeries, and I have been told that he didn’t do a medical for anyone. I don’t know exactly how the teams are going to process that, but that would be the only concern I’d have with Kris Dunn. If you’re not flagging him medically, he’s the real deal. I really like him. Now, is he as good as Dwyane Wade or something like that? I’m not saying that, but in this draft, for me it goes Simmons, Ingram, and then Dunn. Q. Curious on the two Indiana guys, Yogi Ferrell and Troy Williams, kind of your thoughts on both those guys, the potential for either of them to get picked, and more importantly, if they’re not picked, do you see them having any future in the NBA? BILAS: I was wondering what the Hall was, whether it was going to be Virginia or Seton Hall. Now I know it’s Assembly Hall. I think Troy Williams is probably going to be at or around the end of the second round. I do think he’s a draftable player because of his athleticism, his ability to run the floor, and his ability to finish plays in transition. I think he can be a good defender because he kind of fits the suit there. He’s got size. He’s not crazy long, but he’s got a — he’s a high flier. He’s explosive and plays with a lot of energy, more of a driver than anything, but really did a good job in transition, can hit some perimeter shots but not quite an NBA-range three-point shooter. I think he should be a better defender with his athleticism, but he’s done a good job. I think his value is in the fact he brings energy, athleticism, and he can finish plays. He’s just got to play with a little bit more efficiency, not turn the ball over, take better shots, things like that. Yogi is a smaller guard and did a very good job — he kept getting better and better. He can shoot it, good leader. Very good job creating for himself and for others out of pick-and-roll situations, gets his shot off quickly. He can shoot it off the catch. He can shoot it off the dribble. Pretty good in isolation. He’s just not got a lot of size, and that’s — he’s not a superior athlete, and he doesn’t have a lot of size, and so I do not believe he’s going to get drafted. He wasn’t invited to the combine. I thought he should have been, but he wasn’t, and that’s a pretty good indicator that he’s not on the draft — he’s not high enough up on the draft radar. But like I’ve said about other players, I think he may be better off not getting drafted, then he can pick where he goes and have a better opportunity to make a team. Q. I wanted to ask about Purdue’s A.J. Hammons. You mentioned him already as somebody who could be in the mix as high as 30s, but there’s others who think he’s a late second-round guy. How do you assess his career leading up to this point, and where do you think he fits in for the NBA? 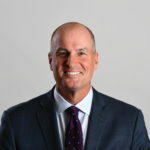 BILAS: I think A.J. Hammons, it comes down to for him how hard do you think he’s going to play and how resolute is he to rev up that motor and really go after people. He was very productive this year, much more so than he has been in the past. He’s long-armed. He’s very talented. I think his only issue was sort of consistent want-to. He’s a very good low-post scorer. He’s a good shooter facing up and a very good offensive rebounder. He can protect the rim. He’s a good shot blocker. I think I mentioned before, I watched him earlier, he dominated Damian Jones, who’s rated a little bit higher than he is, the kid from Vanderbilt. He had a double-double and almost that triple-double including blocked shots. But it’s just sort of a question, he’s 23 years old, I think, 23 or 24, and so you should do well against younger talent when you’re that old. But at this point, I think he’s supposed to have figured it out. But I think he’s a good pick early in the second round or late in the first, and especially if he goes to a good team. I think he can really help somebody. Q. Kind of going back to what you said a few questions ago about the limited window with the benefits of college and sometimes we don’t get to see guys more than a couple of years, on that note, looking at Michigan’s Caris LeVert, how big of a risk-to-reward prospect is he, really having just a little bit more than two full years during his four years at Michigan? BILAS: I think the only risk with Caris is his health. He’s had a couple of foot surgeries, and that’s the only reason that he’s not a first-round pick. In fact, I think he’s a lottery talent. But he’s had those injuries that kept him out basically all year this year. He played a little bit early on, but that’s it. I’ve got him ranked in the second round right now, but it’s just a health thing. He’s had multiple injuries. You don’t know where he stands on that. He’s athletic. He’s got a wing span of 6’10”, very, very skilled. He can shoot it, and he’s a really good spot-up shooter, but he can shoot at the three-point range. Not as good of a pull-up jump shooter, but he’s been pretty efficient throughout his time there. He defends fairly well. His length really helps him there. And he’s got a good feel passing it. I think his time — if you look at his averages in his time at Michigan and push him out to 40 minutes, and sometimes people do it to 36; I happen to do it to 40 because it’s easier to wrap my head around with a full college game, without coming out, he averaged like over 21 and close to seven rebounds and close to seven assists. He’s really productive. I think he’s got a chance to be very good, but it’s a question of his health, and if you are satisfied that he’s passed all these things and he’s going to stay healthy, then I think he’s a first-round pick. Q. Follow up with a Michigan State question, you were asked a little bit ago about Deyonta Davis and going back to the time in college thing, developmentally-wise, he’s not yet an offensive player, but do you think he’s a kid who would have benefitted from another year in college, or do you think now was the time and he had really no other choice? BILAS: Well, everybody has a choice. It’s just a question of — I think I mentioned that — I happen to believe that — and this is just my view. I happen to believe that the steps that a player needs to take in order to be great are the same now that they’ve ever been. There’s no shortcut to it. The only question for each player, and it’s an individual decision that each player has to make, is where do you want to take those steps. If you want to take those steps in college, or at least some of those steps, that’s a wonderful training ground. There’s a developmental component to the NBA now. You can take those steps in the NBA and actually devote more of your time to your development in the NBA than you can in college. There’s the D-League. There’s all kinds of opportunities to develop even while you’re sitting on the bench in the NBA because you can work nonstop in the NBA. There’s no 20-hour limit or any of that nonsense that the NCAA puts on you working with your coaches. To me it’s just an individual decision. In our way of thinking with people of our generation, we look at college as being the best place. That’s not necessarily true for every player. It’s traditionally been true because there aren’t a lot of options, frankly. You’re either going to go pro or you’re going to stay in school, and if you’re going to stay in school, you’re going to accept the unilateral terms that are imposed upon you. But a lot of players now — I try to tell my — I’m 52 years old. What I try to tell my friends now is we look at it a certain way at our age, but you’ve got to remember, these players, they were born in the ’90s. Not one of them has been born into a time where players — where the best players stay for four years. Not one. So they’ve never lived in a time where the best player stayed. I don’t think we can reasonably ask them to look at it the way we do. They just don’t. Media contact: Gianina Thompson at 860-766-7022 or [email protected] (@Gianina_ESPN). “Never wish for it more than you work for it.” My dad has told me this ever since we watched the New York Yankees win the World Series in 1996. Living by those words has brought me to ESPN as their Senior Publicist for NBA, MLB, FIBA, and Little League. Working for the World Wide Leader in Sports, it comes naturally that I have a competitive nature. Competing on a Division 1 college rowing team and receiving both my master’s and bachelor’s degrees before turning 22 years old, further illustrates that. Sports are more than entertainment; it’s hopes for something bigger than yesterday.